Late, but not too late… sorry Fred! A busy week got in the way of posting this before the con. There’s time to check it out at the con now. 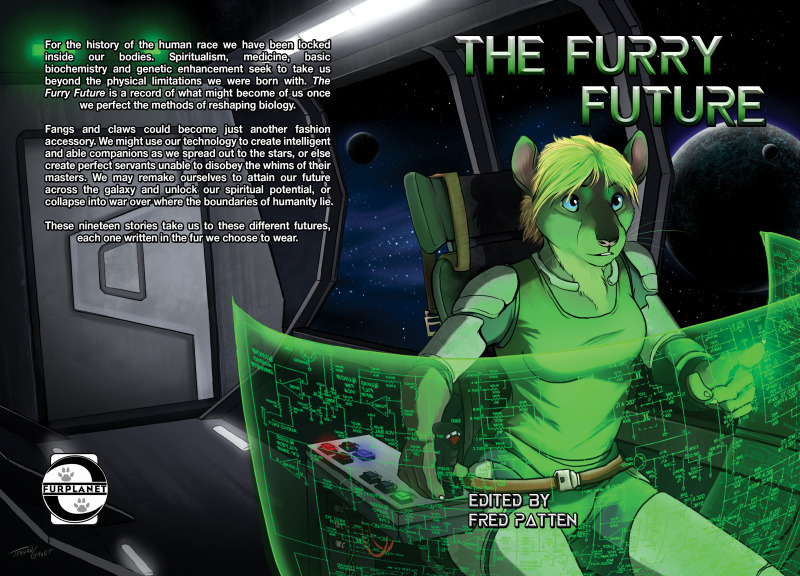 The Furry Future; 19 Possible Prognostications, edited by Fred Patten and published by FurPlanet Productions, is scheduled for release at the Further Confusion 2015 convention, in San Jose, California, on January 15-19, 2015. It will be on sale through the online FurPlanet catalogue thereafter. The Furry Future contains 19 short stories and novelettes by authors from six countries (Australia, Canada, England, Germany, Singapore, and the U.S.) depicting various ways in which mankind may bioengineer one or more furry species in the future. To be mankind’s partners? Servants? Or superiors? Read The Furry Future and see. Price: $19.95. 445 pages. Wraparound cover by Teagan Gavet.